Corner, Freestanding, Wall Mounted and More! 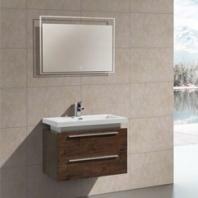 A big factor in choosing the right product for you is to look at the various vanity mounting types. First, you will need to decide on the location or placement of your bathroom vanity. Next, you’ll need to measure the maximum height, width, and depth that makes sense for your new bath vanity. Once you have this information, you are ready to find the right fit for you. We advise you to get the proper measurements because the amount of space that you have is very important in considering mounting types. Some mounting types are more space efficient than others so it depends on your personal needs and preferences. There are many different mounting types such as: freestanding, wall mounted, floating and corner. While some types are extremely versatile for all sizes, others may only be appropriate for specific space sizes. 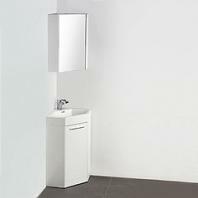 Freestanding, wall mounted/floating styles are all great options for those working with a medium to large bathroom space. Freestanding setups tend to be heavier and a bit more bulky in order to ensure sturdiness. A freestanding vanity is a great choice for both classic and modern homes as there are so many different designs to choose from. 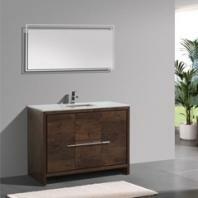 Wall mounted or floating vanities are often minimalist and streamlined to provide balance and strength. This type of construction is perfect for contemporary homes where space dynamics are especially important. However, if you have a small bathroom space such as a powder room, you should consider adding a simple yet elegant corner vanity that will save you space and enlarge the look of your bathroom. Regardless of the mounting type, all of our products will help you create a more spacious feeling while still being able to offer you extra storage space for toiletries or cleaning supplies. With a vast selection of vanities, no matter what you choose, we will cover the shipping cost and ensure that you get your product promptly. At HomeDecorAZ.com, we want to help make your design dreams a reality. If you need any assistance, information or recommendations on our products, please don’t hesitate to give us a call or email.